The Skerries Coast Guard team took part in a scheduled training exercise this morning with the newly launched Dublin based Coast Guard helicopter, EI-ICR. The team were also joined by the neighbouring station of Clogherhead Coast Guard for this first landing of the new Sikorsky S92 at Skerries. The teams selected and prepared the landing site, this also included the deployment of orange smoke flares. 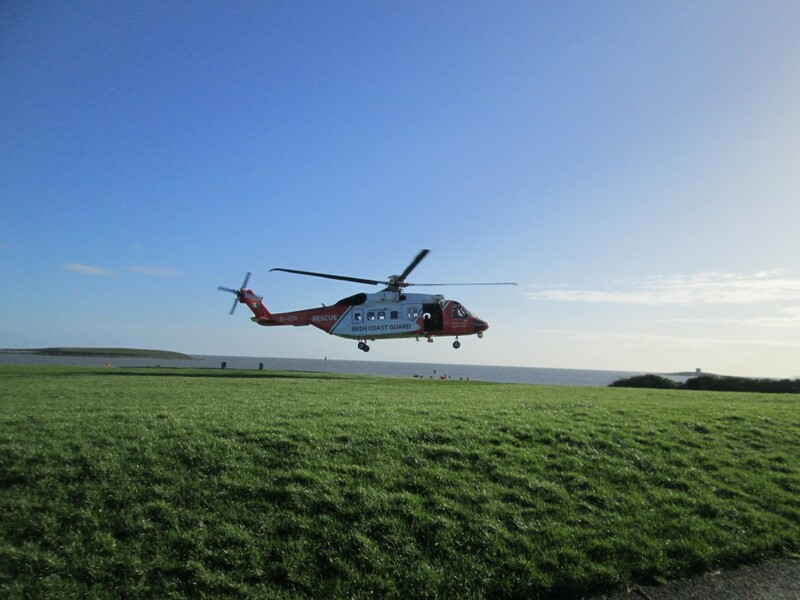 The helicopter departed its base at Dublin airport and within minutes was on scene at the Red Island headland, Skerries shortly after 10am. Once shutdown was complete, the teams received a comprehensive operational briefing on the new Coast Guard helicopter. 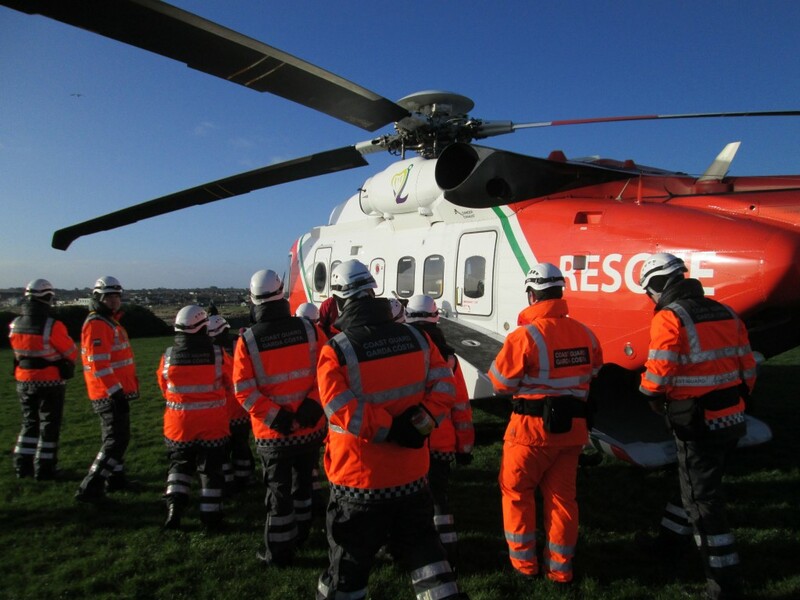 All Coast Guard stations around the coast would work closely with the Coast Guard helicopter on rescues and it is therefore essential to take part in regular joint training with the crews. Further photos of the exercise are available in our online gallery. This entry was posted in Training and tagged Irish Coast Guard, pyrotechincs, Red Island, skerries coast guard by Skerries Coast Guard. Bookmark the permalink.